A hunter in Florida accidentally shot his girlfriend when he mistook her for a wild hog, CNN affiliate WKMG in Orlando reports. She's seriously injured. When she recovers, he could be next. This affair (with filmmaker Rielle Hunter) was a gamble with exceedingly high stakes. If the affair went public it would have destroyed any chance to become president and he knew it. Two of his most enthusiastic supporters happened to be wealthy, and he knew that, too. He made a choice to accept hundreds of thousands of dollars. He made a choice to break the law. Secondary blame for fiascos like this lay squarely with us, the electorate. We have a very strong part in creating a political class that, quite understandably, begins to believe its campaign slogans and rhetoric. Party affiliation is irrelevant. We have created professional politicians for whom image and reality become so intertwined that they cannot be separated. Sen. Edwards probably did all this, and knew of it, but because he believed so many people believed in him, he truly thought he deserved to have everything he wanted. We build these people up to untenable heights and then act shocked when they come crashing down because their character was never what they pretended it to be, or what we wanted to see. He will face the music for his folly, but we are responsible for the political climate that lets campaigns become so foolish. On Tuesday, President Barack Obama will visit the University of North Carolina at Chapel Hill and the University of Colorado at Boulder to launch an effort to get Congress to prevent interest rates on student loans from doubling in July. Later he'll appear on NBC's talk show "Late Night with Jimmy Fallon." In a rare meeting of the minds, likely Republican presidential nominee Mitt Romney agrees that the student loan rates should remain low. Former Sen. John Edwards leaves the courthouse after the first day of jury selection in his trial in Greensboro, North Carolina. 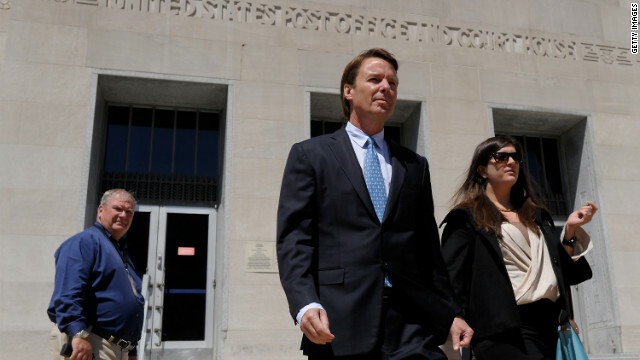 Former senator and Democratic presidential candidate John Edwards is beginning his criminal trial on felony and misdemeanor counts dating back to his failed campaign. One of the key allegations against Edwards is that he received $1 million in illegal campaign contributions to conceal his pregnant mistress. Edwards says he wasn't in the right, but he wasn't breaking the law either. In response to this fiasco, world affairs columnist Frida Ghitis has just one question. Fangle620: "Yes, because no powerful women in history have ever had an affair. Not like certain powerful British (female) monarchs ever built their power on affairs. I'm a historian, I would know. This obviously has way too much bias, poor research, and too much hatred for men. Get a grip." BlameMe: "Both men and women can be stupid when it comes to love, lust and passion. This is not by any means gender-based." ozfozzy: "Men aren't stupid for fulfilling their biological purpose in life. The author is stupid for failing to understand men." To be fair, some women joined in the cause. fin59: "First, I am a woman. So to Frida, get your head out of the sand! Women have dalliances as well. Maybe we are better at it but we do it just the same. This 'crime,' if you want to call it that, has the same risk as many other crimes humans commit. Why do women shoplift? Is it arrogance? Not that simple. The behavior is inexcusable, but these men are just as human as every one of us. Get over yourself!" dabble53: "Have to agree. At least 90% of the time, if the man is having an affair, there's a woman equally involved. (The other – up to 10% estimates – it's another man, but in any case, it takes two [or more] to have an affair.)" Iceberg, an all white adult male killer whale, swims with his pod off the coast of Russia. The world's only known all-white male killer whale has been spotted in the Pacific Ocean off Russia, scientists announced Monday. 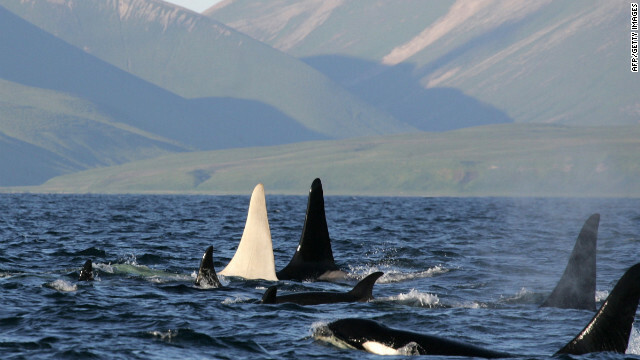 The orca, dubbed "Iceberg" by the scientists, was spotted swimming with a pod of 12 others. Iceberg has a 6.5-foot-high dorsal fin and is at least 16 years old, according to a blog post by Erich Hoyt, co-director of the Far East Russia Orca Project. The pod was spotted by scientists from universities in Moscow and St. Petersburg in the waters around the Commander Islands off the Kamchatka Peninsula. The area is part of a marine reserve. Spot remains loyal to the memory of his master, Wayne Giroux even though Giroux has been dead for more than a year. Few bonds are stronger than the one between a dog and its master. In fact, the second most popular video last week was a piece by CNN's Jeanne Moos that shows just that. It got us thinking about some of our other favorite videos showing just how devoted man's best friend can be. You've Gotta Watch these loyal pets. Caught on camera: A loyal dog stays by dead companion amid traffic. CNN's Jeanne Moos reports. Dogs are not only man's best friend, they're pretty loyal to each other, as well. 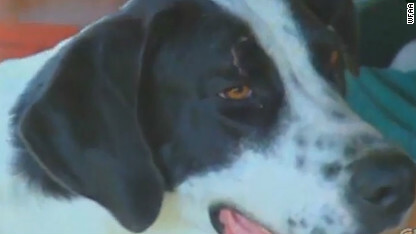 CNN's Jeanne Moos found several dogs whose devotion is simply amazing. Watch the video to see acts of canine heroism like you've never seen before. While family and friends and a dog mourn the death of Navy SEAL Jon Tumilson. One of the more touching displays of a dog's devotion happened in August 2011. While family and friends mourned the death of Navy SEAL Jon Tumilson, his dog did, too. Watch the video to see what happened. A dog mourns his owner's death months after he died. 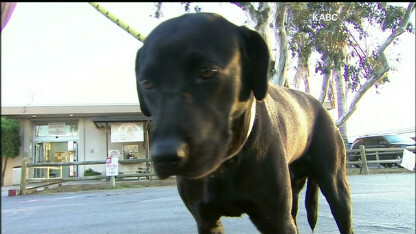 Many of you responded to the story of Wayne Giroux and his dog, Spot. Giroux died in 2010. Watch this video to see how Spot showed his love for his owner months after he died. 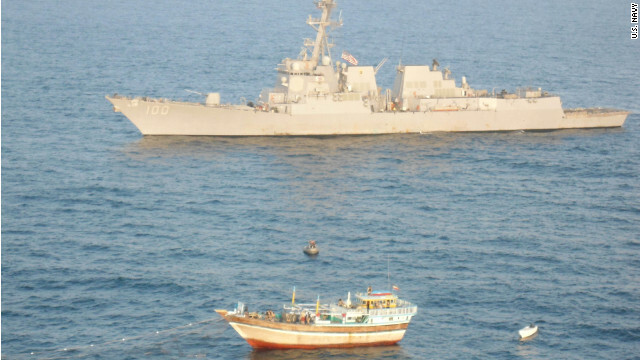 The guided missile destroyer USS Kidd rescued an Iranian fishing vessel from pirates in January. Pirate attacks off the coast of Somalia have decreased dramatically this year, but the number of incidents off Africa's west coast is increasing, and piracy is becoming more violent there, the International Maritime Bureau reported Monday. There were 102 incidents of piracy and armed robbery during the first quarter of 2012, according to the agency, part of the International Chamber of Commerce. Forty-three of those were attributed to Somali pirates, a decrease from 97 in the first quarter of 2011. Nine vessels were hijacked in the area, a decrease from 16 in the period a year earlier. Pirates took 144 crew members hostage off Somalia during the quarter, according to the report. The bureau credited international navies, which have staged both reactive and pre-emptive strikes against pirates in the region, for the decrease in piracy off Somalia. It hoped for continued progress. [Updated 11:25 a.m.] The house from which a 6-year-old Tucson, Arizona, girl went missing Saturday morning was being treated as a crime scene Monday as police said they were checking and re-checking more than 100 leads in the case. Isabel Mercedes Celis was last seen by family members when she went to bed at 11 p.m. Friday. She was discovered missing when her father went to wake her at 8 a.m. Saturday. Tucson chief of police Roberto Villasenor said Monday morning that investigators were looking over again many of the leads that have come in. "You want new eyes looking things over several times," he told reporters in Tucson. The chief said earlier police were investigating a broken screen in the child’s bedroom as a possible point of entry into the house. “We have a window that was opened and a screen removed. We’re labeling it as suspicious circumstances and a possible abduction,” he said Monday morning on CNN. The 2012 presidential election can sometimes change at the drop of a hat. Watch CNN.com Live for all the latest news and views from the campaign trail. 8:55 am ET - Romney in Pennsylvania - GOP presidential candidate Mitt Romney is spending his day in Pennsylvania, starting with a campaign event in South Park Township. He then joins Sen. Marco Rubio for a town hall-style meeting in Aston at 12:55 pm ET. 7:00 pm ET - Ann Romney in Connecticut - Mitt Romney is not the only Romney campaigning today. The candidate's wife will address the Prescott Bush Awards Dinner in Stamford, Connecticut. A soccer ball recently found washed up on a remote Alaskan beach apparently belongs to a teenager from a city devastated by the earthquake and tsunami that struck Japan more than a year ago. And it may soon be returned to its owner more than three thousand miles away on the other side of the Pacific Ocean. David Baxter, a technician at the radar station on Middleton Island in the Gulf of Alaska, came across the ball as he was beach combing. The ball had Japanese characters written on it, from which Baxter's wife was able to translate the name of a school that was in the area hit by the tsunami, according to a blog post by the National Oceanic and Atmospheric Administration. An enormous amount of debris was swept into the Pacific by the tsunami that hit northeast Japan on March 11, 2011, killing thousands of people. A number of objects, both large and small, have so far made their way as far as the coast of North America, including a rusty fishing trawler that the U.S. Coast Guard sank earlier this month. But the ball "may be the first identifiable item that could be returned," according to the NOAA. Sudanese war planes crossed a disputed border region to conduct airstrikes in South Sudan on Monday, a witness said, escalating fighting that threatens to return the neighboring African countries to full-scale war. The report of the bombing of the towns of Bentiu and Rubkona comes days after South Sudan pulled its troops at the request of the United Nations from the disputed, oil-rich region of Heglig, though Sudan claims its soldiers retook the area from South Sudanese soldiers. Two fighter jets fired four missiles at the neighboring towns, divided by a river, hitting an open air market and killing at least one person, said journalist Alan Boswell, who is in Bentiu. Boswell was in his car crossing the bridge between the two towns when anti-aircraft fire erupted. That was followed, he said, by missile strikes. U.S. troops have fired into Pakistani territory at least four times in the last 10 months in cross-border skirmishes that they say are in response to shelling from inside Pakistan, CNN has learned. The revelation is likely to stoke already tense relations between Pakistan and the United States, which hit a new low after a NATO airstrike last year killed 24 Pakistani soldiers along the volatile border. While the Taliban and Haqqani network, an Afghan militant group operating from Pakistan's Waziristan province, are generally believed responsible for cross-border attacks against troops, an Afghan army commander says Pakistani soldiers opened fire on him and his men as recently as April 14. "When we went near the border, we were attacked with an anti-aircraft gun and mortars by the Pakistani army from their checkpoints. We are not only attacked from the Pakistani soil, but we are also attacked by the Pakistani army," Masoud Karimi, an Afghan army commander, told CNN. 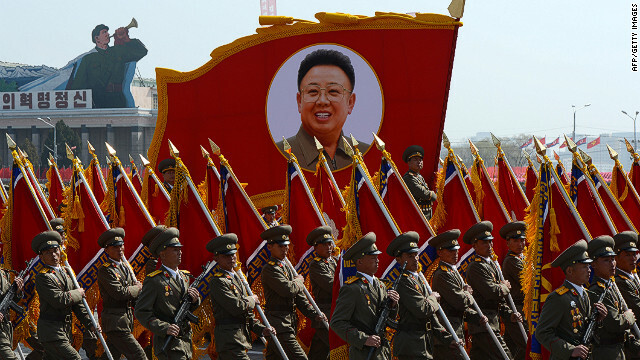 North Korean soldiers carry a portrait of late leader Kim Jong-Il during a military parade to mark 100 years since the birth of the country's founder Kim Il-Sung in Pyongyang on April 15. North Korea said Monday that it would soon initiate "special actions" aimed at destroying the South Korean president and his government. North Korean armed forces will use "unprecedented peculiar means and methods of our own style" to carry out the actions, the official Korean Central News Agency said in a report, adding that the operation would take 3 or 4 minutes. It did not specify what those actions would involve. An unusual broadcast on North Korean state television also announced the planned measures and showed images of people throwing rocks at a caricature of Lee Myung-bak, the South Korean president. North Korean state media have consistently lambasted the conservative Lee and his administration. Recent reports have described them as "rats." A detained Bahraini dissident who has been on a hunger strike for more than two months can appeal his life sentence during a hearing Monday, the government said. Abdulhadi al-Khawaja was arrested in April 2011 for his role in anti-government protests that began a month earlier with demands for political reform and greater freedoms for Shiites. In June, Bahrain found him and seven other Shiite opposition activists guilty of plotting to overthrow the country's royal family. Al-Khawaja was in stable condition Sunday, a Bahraini government spokesman said. Meanwhile, crew members from Britain's Channel 4 News were released Monday after they were arrested while covering the unrest surrounding the Bahrain Grand Prix a day earlier. A powerful spring storm threatened to disrupt Monday morning commutes across the northeastern United States with potentially historic snowfall and heavy rains. Snowfall amounts of 6 to 14 inches are forecast for the Allegheny Mountains of western Pennsylvania and near Lake Erie, the National Weather Service said. Snow advisories also are posted for West Virginia, western New York and extreme northeastern Ohio. Such storms are rare for late April in the region and records are expected to fall. Opening statements are set for Monday in the trial of a man accused of killing relatives of actress and singer Jennifer Hudson. Last week, 18 people were selected to serve on the jury in the murder trial. The group includes 10 women and eight men, including six alternates. The jury will be sequestered during the trial, Judge Charles Burns has said. The trial comes more than three years after Hudson's mother, brother and nephew were killed. Balfour, who was Julian's stepfather, has also been charged with one count of home invasion. The judge has said he expects the trial to last three to four weeks. The Myanmar opposition leader Aung San Suu Kyi and other members of her party are delaying their parliamentary debut Monday as they seek to resolve a problem concerning the wording of the oath that lawmakers have to take. Suu Kyi and 42 other candidates from her party, the National League for Democracy, won seats in by-elections on April 1, a result welcomed by countries like the United States and Britain as a sign of progress toward democracy in Myanmar after decades of repressive military rule. Following the elections, Suu Kyi and other newly elected opposition members were invited to attend the session of parliament this week in the capital of Naypidaw. But they have requested that the wording of the swearing-in oath that lawmakers have to take be changed. The NLD asked the authorities to adjust the wording of the oath to say that parliamentarians will "abide by" the constitution rather than "protect" it. "We want to change that constitution because it's not a democratic constitution," Ohn Kyaing, a spokesman for the NLD, said Sunday. The constitution currently assigns 25% of parliamentary seats to unelected members of the military establishment. Tin Oo, a senior NLD official, said that he believed the parliament would consider the issue Monday and that it could be decided upon this week. George Zimmerman, the neighborhood watch volunteer charged with murder in the February death of Trayvon Martin, has been released on bail from a Florida jail. Zimmerman walked out of the John E. Polk Correctional Facility in Sanford, Florida, around midnight Sunday, wearing a brown jacket and blue jeans and carrying a brown paper bag in his arms. He got into the back of a white BMW and did not speak to reporters. It was not immediately known where he was headed. The Seminole County Sheriff's Office said Zimmerman was fitted with an electronic monitoring device, which can keep tabs on his whereabouts in real time. Over the weekend, his lawyer had said Zimmerman could remain behind bars until the middle of this week due to concerns about collecting enough funds for his bond, which was set at $150,000. With the 10% cash payment customarily made to secure bond, Zimmerman's family needed $15,000 for him to make bail. The search for Etan Patz, a 6-year-old New York boy who disappeared more than three decades ago, is expected to resume Monday after it was suspended for "operational reasons," an FBI spokesman said. A law enforcement source briefed on the investigation said no evidence of human remains has been found so far in the basement of a building in Manhattan's SoHo neighborhood where investigators are looking. Around 2 p.m. Sunday, investigators searching the basement abruptly folded up a tent they had erected to shield them from a nasty rainstorm. Moments later, two large New York Police Department vans rolled in, obstructing most of the view of the scene. Through a small break between the vehicles, photographers were able to catch a glimpse of something being loaded into the side of an unmarked blue van. FBI spokesman Peter Donald declined to discuss the reasons behind the search's suspension. "We'll be back in the morning," he said. Sunday's developments came a day after investigators discovered a possible blood stain on a concrete wall while tearing apart the basement in their search for clues in the case, a second law enforcement source told CNN.